The short Hebrew word El means “to be strong.” It is often used in combination with other words to communicate that God’s strength is unequalled. This applied truth provides tremendous help for the one struggling with discouragement or self-pity. Meditating upon the strength of God encourages your heart, and moves your attention away from your personal weakness. Perhaps this is what Paul meant when he said, “For the sake of Christ, then, I am content with weaknesses . . . For when I am weak, then I am strong” (2 Corinthians 12:10). Dr. C.R. Marsh applies God’s unparalleled strength to his attributes, and comes up with an excellent list for reflection during your prayer time. As to his duration, he is the everlasting God (Gen. 21:33). As to this power, he is the almighty God (Gen. 17:1). As to his exclusiveness, he is the jealous God (Ex. 20:3-5). As to his holiness, he is a consuming fire (Deut. 4:24). As to his pity, he is a merciful God (Deut. 4:31). As to his fidelity, he is a faithful God (Deut. 7:9). As to his vitality, he is the living God (Josh. 3:10). As to his greatness, he is the awesome God (Neh. 1:5). Choose one of the italicized words, and shape your personal praise to God around that attribute. Then, dwell upon God’s strength in that area throughout the day. 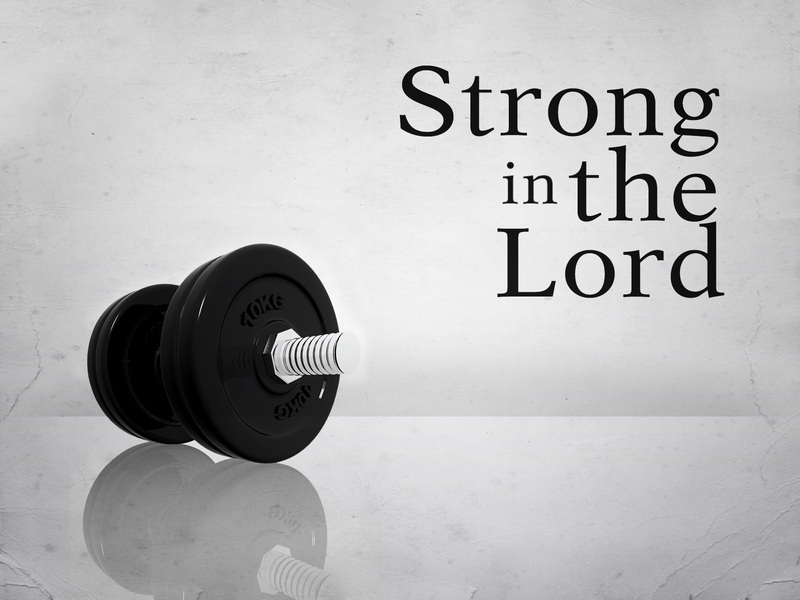 As you face challenges, remember to concentrate on God’s strength, not your weakness. This entry was posted in Character of God and tagged discouragement, self-pity, when I am weak.